with 24 Hour Emergency Service in York County PA. Located in York County, PA, River’s is a truck dealership that does minor and major truck repairs on all makes & models of medium & heavy-duty trucks. Serving the York, Lancaster & Harrisburg tri-county area for 30+ years, River’s is the “One-Stop-Shop” for all of your truck maintenance and truck towing needs. 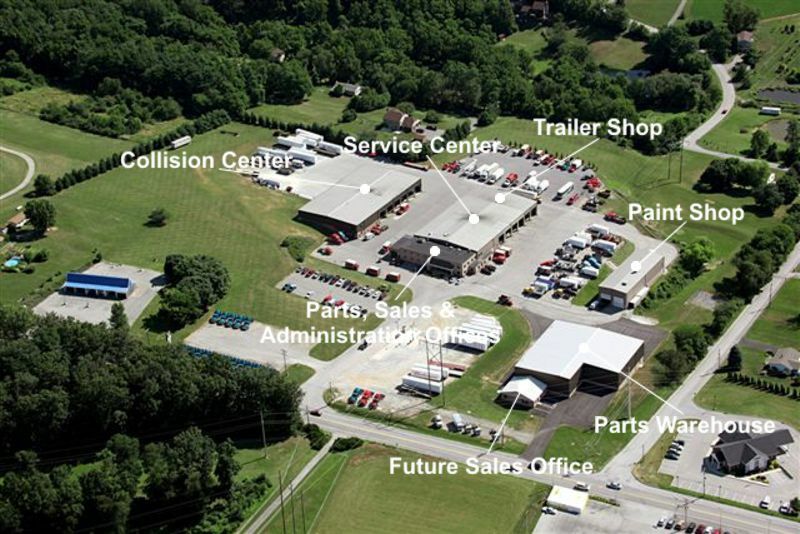 River’s Truck Center is situated on 16+ acres of land in Red Lion, PA. River’s Truck Center provides customers with flexible, reliable services and programs designed to benefit the consumer’s specific needs in today’s constantly changing truck market. Our goal….it’s plain and simple: To keep your truck(s) on the road by providing superior service in a time-efficient manner. How’s that different from any other truck dealership or independent repair shop? One word…urgency. Believe it or not, we still understand the meaning of that word, and we have committed ourselves to making that our key differentiating factor! Your business isn’t trucks…you just need them to operate. We get it, and we are committed to providing you the level of service it takes to allow you to concentrate on your business while we concentrate on ours….keeping your truck(s) moving! Originally owned by Richard and Carolyn Krout, W. Bradley and Marcindie A. McKinsey purchased River’s Garage as a sole propietorship from Carolyn in January of 1976. Mrs. Krout and her husband, “River”, operated River’s Garage as a general repair facility; however, when the McKinseys purchased the company, Brad quickly narrowed its focus to heavy-duty trucks. 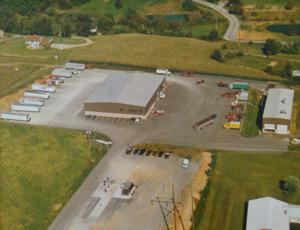 As a result, River’s has been serving the South Central Pennsylvania area for a variety of its trucking needs since 1976. Starting as a small repair shop with two employees, River’s has expanded to over 60 employees with varying responsibilities in the following departments: truck shop, body shop, trailer shop, truck sales, parts, frame and alignment, and accounting. Due to significant growth of the company, the McKinsey’s incorporated River’s Garage in 1986. In 1988, the company moved from 462 East Market Avenue in Dallastown to its current location at 2975 Cape Horn Road in Red Lion, Pennsylvania. Since its relocation, the company has expanded three times (1991, 1997, and 2001) due to growth in its various departments. In 1990, River’s acquired a Mitsubishi Fuso Truck franchise. The Mitsubishi franchise allowed the company to begin expanding its truck sales beyond that of used trucks. The franchise also provided River’s with the opportunity to stock and sell Mitsubishi Fuso parts. River’s experienced major changes in 1998 with a newly completed addition, a new name, and a new franchise. In June 1998, the organization’s name was officially changed to River’s Truck Center, Inc. in order to better represent the company’s stature. The acquisition of a Western Star Truck franchise in 1998 provided River’s with the opportunity to expand even further. Once an organization acquires a Class 8 truck franchise like Western Star, they become eligible to purchase engine franchises. River’s Truck Center, Inc. took advantage of this opportunity to expand its parts and service departments and purchased franchises from CAT, Cummins, and Detroit Diesel. These franchises allow River’s to sell their parts and to provide service and warranty work for their engines. 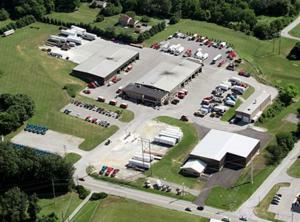 As one can see, River’s has equipped itself with products, services, and employees to meet all of its consumers’ needs.